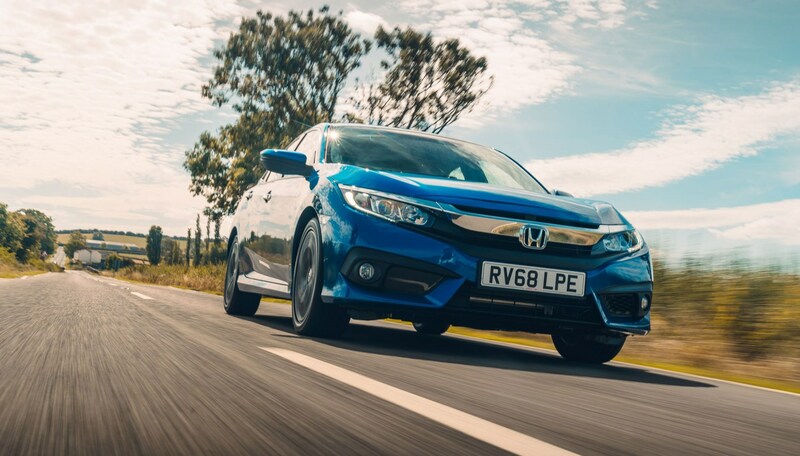 Honda Civic four-door (2018) review: a last chance saloon? Putting it mildly, the rise of the crossover has been at the expense of the saloon car. Among non-premium manufacturers in particular, traditional three-box, four-door cars have gone beyond the stage of not doing very well and are increasingly to be found in the obituaries column. But Honda – always independently minded, sometimes to the point of perversity – has declared this to be just the right time to reintroduce a Civic saloon. And – what the hell!?! – let’s buck another trend at the same time by offering a diesel as one of only two engine choices. It goes into battle against a slender opposition: Mazda 3 Fastback, Audi A3 Saloon, Seat Toledo/Skoda Rapid twins at a pinch, and Mercedes A-Class Saloon if you can wait a few months. It does, and that’s a blessed relief after the lumpy horrors of the last Civic four-door to be sold in the UK: the Hybrid that disappeared a decade ago. At a glance the new four-door has the same angularity as the current five-door, the same low stance, the same kendo-mask face and the same disregard for the commonly accepted limit to the number of different angles one car body should contain. But look closer and you’ll see that the roofline curves differently, the rear end sticks out further, there’s more chrome and fewer of those fake vents. And, of course, there’s a boot rather than a hatch at the back. 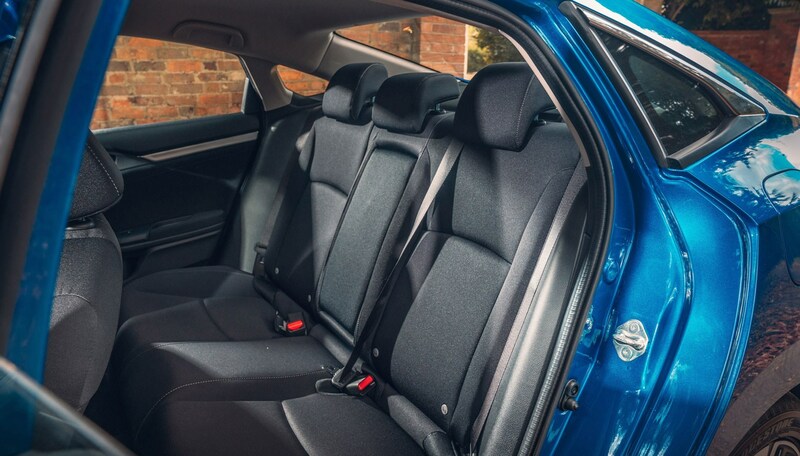 But yes, it’s fundamentally the same car, with a tweaked version of the same underpinnings, a very similar cabin and the same high level of standard safety equipment. The two engines are both shared with the hatchback. There’s a three-cylinder, 1.0-litre turbocharged petrol unit making 125bhp and 148lb ft of torque, returning a decent best 0-62mph time of 10.4 seconds and top speed of 130mph. It returns around 60mpg. And there’s a 1.6-litre turbodiesel four, making 118bhp and 221lb ft of torque and returning up to 83.1mpg, with similar acceleration and top speed to the 1.0 triple. They’re both front-wheel drive and available with a six-speed manual gearbox or a nine-speed automatic in the case of the diesel and a CVT for the manual; this has seven steps built in to make the naturally seamless CVT experience more closely resemble a geared transmission. Go for the manual, which has a pleasing shift action and lets you make the most of the available power. And there are three spec levels: £19,395 gets you a 1.0-litre petrol version with manual gearbox in entry-level SE trim. SR spec costs an extra £1845. Top EX spec is a further £2860 (at £24,100). CVT versions of the same engine start at £20,795 for the SE and go up in the same increments (SR £22,640, EX £25,500). The 1.6 diesel starts at £20,745 for the SE manual, and again increases by £1845 for the SR (£22,590) and a further £2860 to go the full EX (£25,450). The automatic starts at £22,415 and follows the same pattern, making the SR £24,260 and the EX £27,120. Throughout the saloon line-up, prices are £500 higher than for the equivalent hatchback. What electrical wizardry lies within? A kit level that would have seemed extraordinary in a £20k car two years ago is now pretty much par for the course. 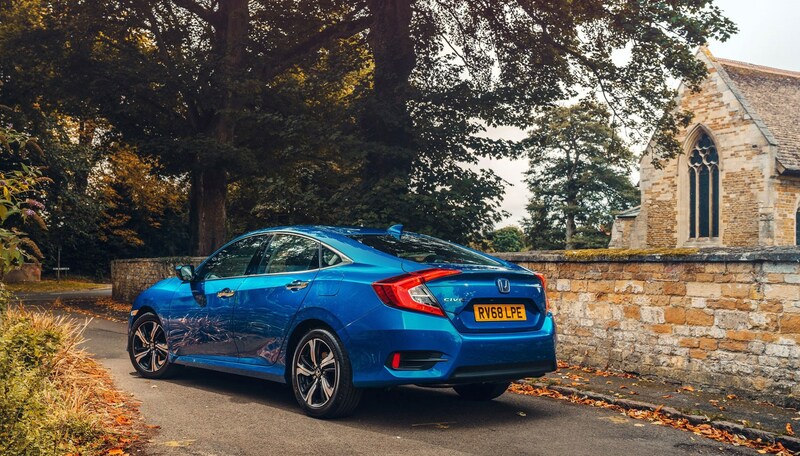 Every Civic comes with Honda’s ‘Sensing’ package of accident–avoidance technology – forward collision warning, automatic emergency braking, lane departure warning, adaptive cruise control and much more – plus a seven-inch central touchscreen. Go up to SR spec and you get automatic wipers, dual-zone climate control, parking sensors and a rear parking camera, plus Apple CarPlay/Android Auto to maximise smartphone compatibility. EX spec brings leather upholstery, keyless entry, LED headlights and more. And you can option your way up to some superior audio. As with the hatchback, it’s not the most satisfactory of infotainment set-ups. Too much lives buried in touchscreen sub-menus, and the steering wheel buttons are small and awkward. And the Turkish-built saloon uses some different materials from the Swindon-built hatch, making the cabin slightly less pleasing to look at and touch, although it feels built to last. But the important thing is how it drives..
Too right. Although the steering has been recalibrated for the saloon, the overall driving experience is much the same as the non-Type R hatch. It’s pleasingly neutral and predictable, and feels as though it could cope with far more power, and far rougher surfaces, than we subjected it to during our test. It’s a compact car, but there’s plenty of room for luggage and passengers. There’s slightly more rear-seat legroom, and more light from the expanded glass area. There’s no pampering going on in there, and the soundproofing isn’t extravagant, but it’s calm and reasonably quiet. 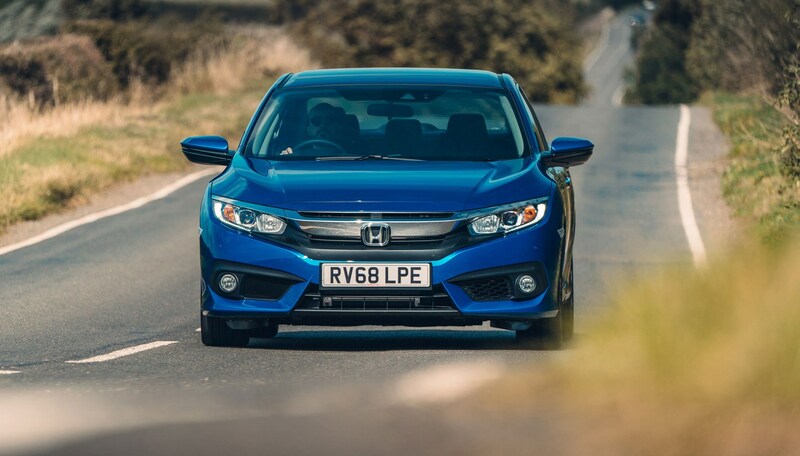 The world won’t be knocked backed to its senses by the arrival of the Civic saloon. Normal four-door cars like this will continue to be less appealing to many buyers than heavier, more expensive faux-4x4 alternatives. But what it does mean is that there’s a worthwhile extra choice to consider, combining the practical bonus of a big boot and the less measurable advantages of a no-nonsense car that’s all about getting the job done and not worrying about fleeting fashions.